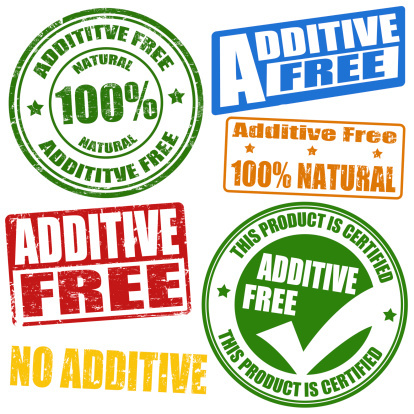 Home » Food and Nutrition » The Harmful Food Additive You Must Watch Out for! Phosphates in food are an all too common occurrence these days. Phosphates, usually labelled under the generic term sodium phosphate, are added to food for a variety of reasons. Phosphates in food are used as texturizers to change the look or feel of a food and to increase the shelf life of a food. Phosphates are also used as an emulsifier to mix two foods together that would otherwise not mix. For example, a food product with added oil may contain an emulsifier to stop the oil from separating from the main food. Phosphates in foods are sometimes used as a leavening agent, pressed into service to help dough rise or to keep a food from becoming too acidic or alkaline. There’s nothing necessarily wrong with phosphate as it is an essential nutrient. The compound plays a role in key biochemical processes such as metabolism, creating genetic material, strengthening teeth and bones, and regulating the acid-base balance in the body. It’s definitely important to have some phosphate in your diet. But the trick is not to get too much of the mineral. When you eat a lot of foods that contain phosphate additives, you could run into trouble. This is especially true if you have kidney problems. As a matter of course, kidney disease patients are usually told to avoid phosphates in food. This is because phosphates in food are hard for struggling kidneys to deal with—they can’t remove them. When high levels of phosphates collect in the blood, the results can be serious. The development of heart disease and bone disease are two dangers. Very high levels of phosphorus can even be life-threatening. Because of this, phosphates in food such as processed meats or baked goods can be a very real issue for those with kidney problems. It can be tricky to monitor your intake of phosphorus. While you can try to avoid eating certain meats, whole grains, nuts or other foods naturally high in the mineral, it can be a real challenge to try and track down how much you are consuming in the form of additives. While it is now common practice for food manufacturers to label the amount of fat, calories or sodium on a product because they are required to do so, there is no such requirement for phosphorus. The amount of phosphorus in foods remains a hidden commodity. There could be sodium phosphate in your drink and pyrophosphate in your cheese. Even chicken, for example, this is a food that has been deemed “safe” for dialysis patients to eat, may contain phosphates if the chicken is from a fast food restaurant. How much phosphate are we talking about here? A research team recently discovered that kidney disease patients could significantly lower their phosphorus levels once they knew how to stay away from foods containing phosphorus additives. Over 250 advanced kidney disease patients receiving dialysis treatment were placed into a control group or a phosphorus additive-avoidance group. After three months, those who were taught to avoid foods with phosphates experienced a drop in the mineral that was two-and-a-half times that of the control group. The researchers made these conclusions: there’s already an abundance of phosphorus that occurs naturally in food. Adding phosphorus additives may be pushing the body past its ability to deal with the mineral. Talk to your doctor about the risks of taking sodium phosphate. “Sodium Phosphate,” MedlinePlus web site; http://www.nlm.nih.gov/medlineplus/druginfo/meds/a609019.html, last accessed Nov. 5, 2013. “Sodium Phosphate,” Med-Health.net web site; http://www.med-health.net/Sodium-Phosphate.html, last accessed Nov. 5, 2013. “Hidden Phosphorus Food Additives Dangerous to Kidney Disease Patients,” Science Daily web site, Feb. 20, 2009; http://www.sciencedaily.com/releases/2009/02/090210161912.htm, last accessed Nov. 6, 2013.